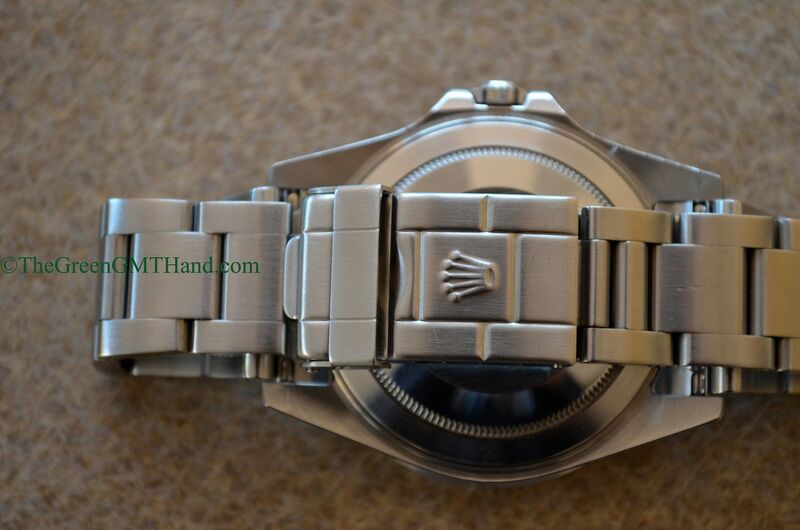 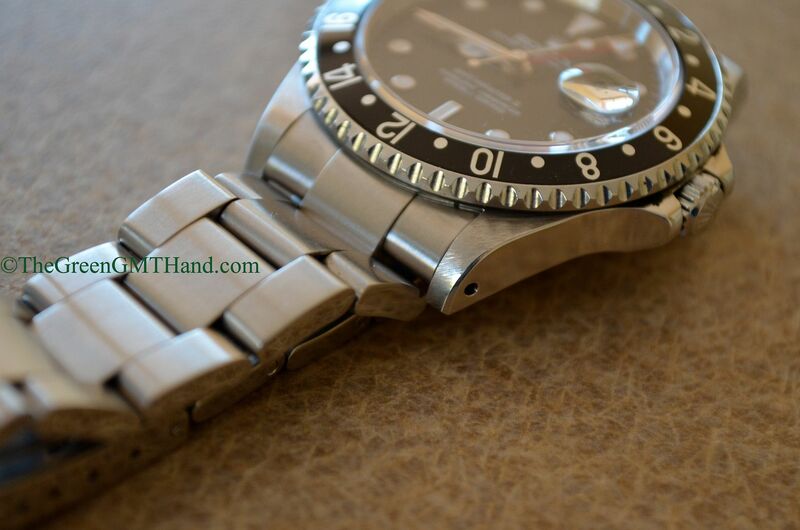 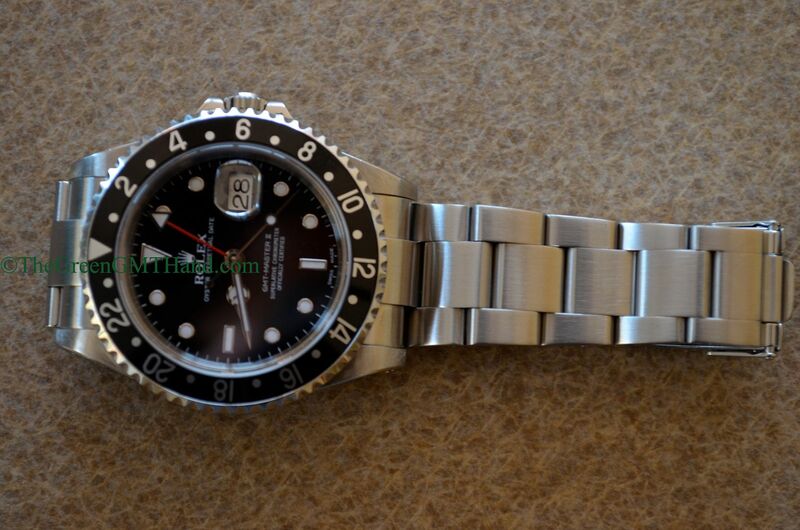 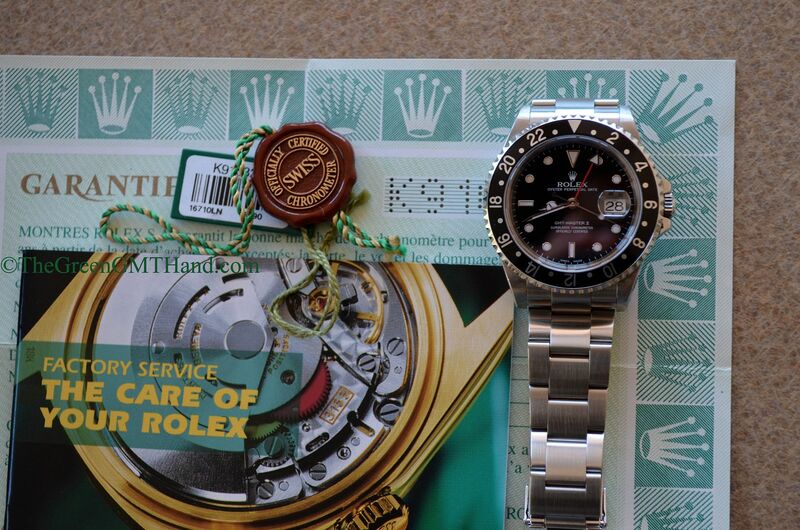 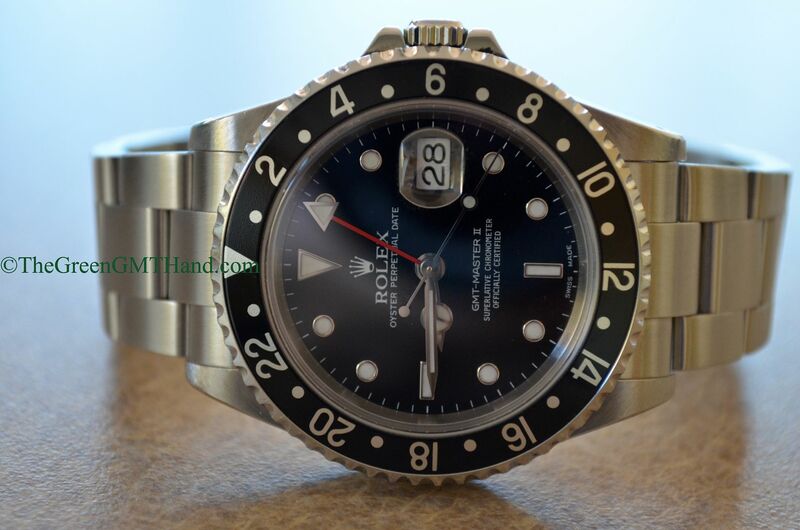 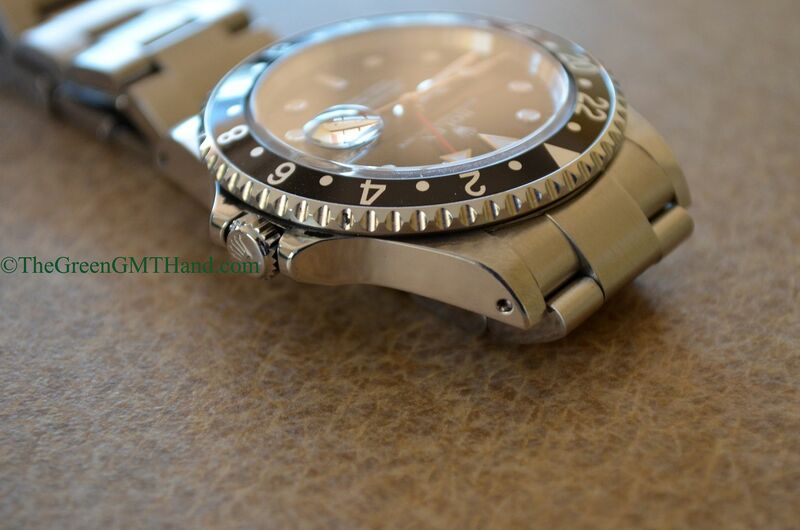 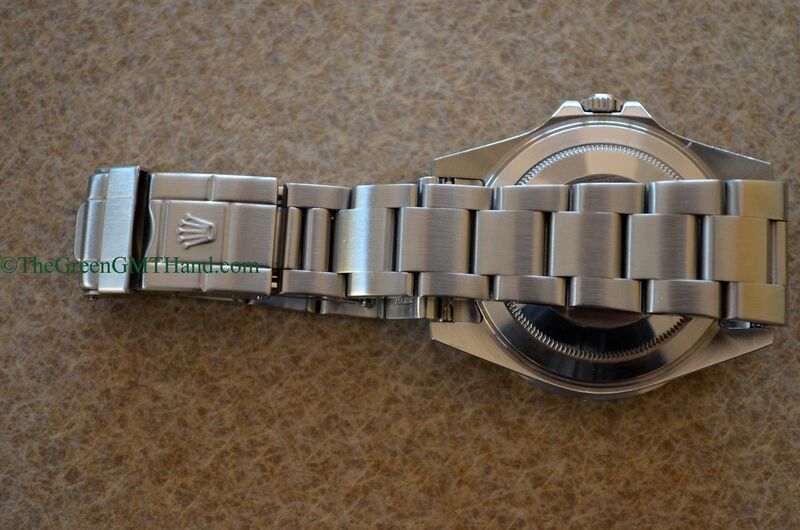 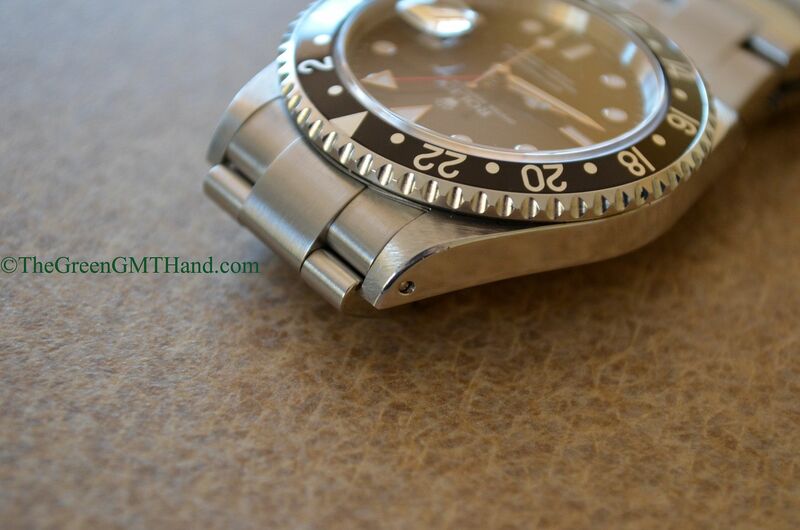 This transitional Rolex 16710 GMT Master II features a very rare and desirable combination of lug holes on the case and the SEL solid end link bracelet. 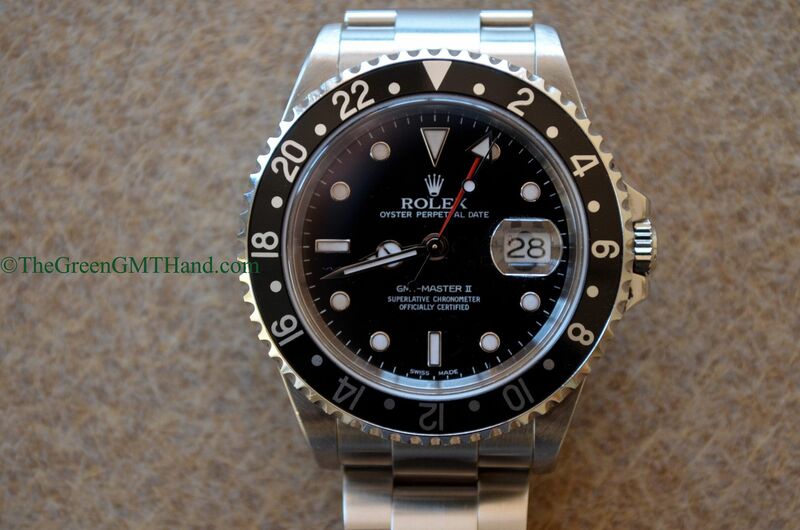 It features the ever reliable 3185 movement and a factory original black bezel insert. 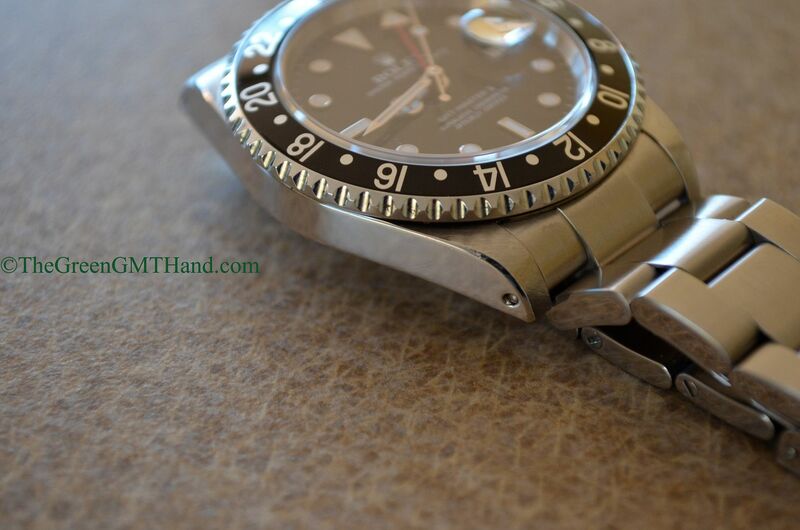 We took images of the 4 bevels/chamfers to show how strong and unpolished the case has been kept- simply a wonderful sample of this classic 40mm GMT Master II. 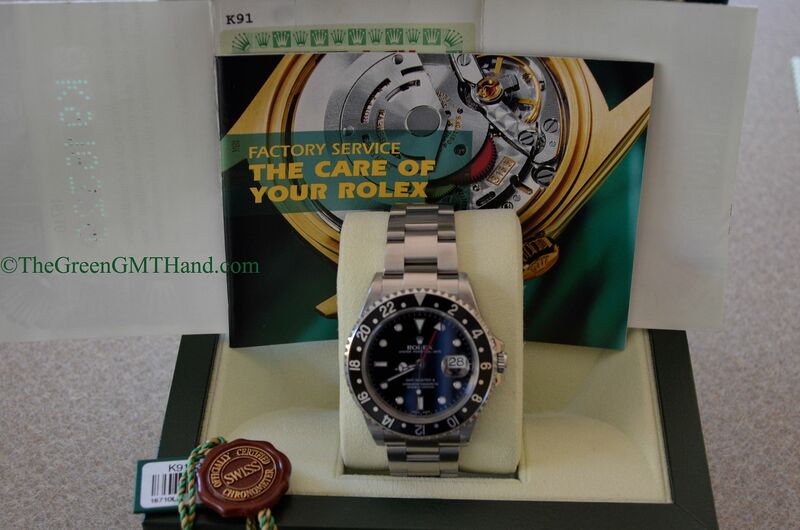 SOLD and delivered this beautiful complete set transitional 16710 to one of our best clients in England as a complete set with original boxes (time period correct box not shown), warranty certificate, and both tags.